Updated Friday September 21, 2018 by Cory Thomas. 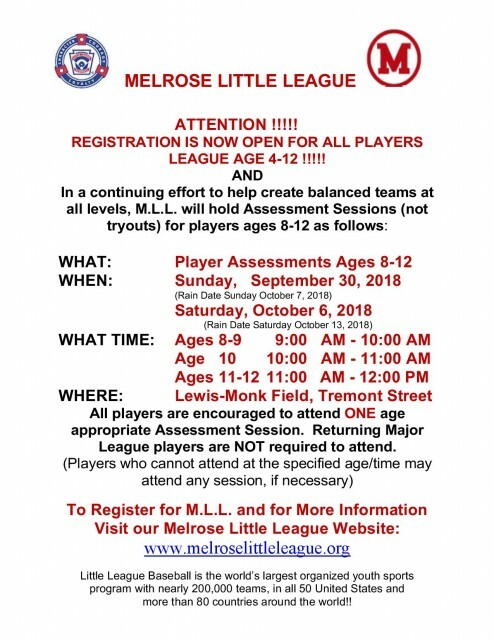 Registration for the 2019 season of Melrose Little League is now open! Registration for all baseball players closes on December 15, 2018. Registration for all tee-ball players will remain open into 2019. Please contact a MLL board member with any questions about registration. Thank you & go Melrose!